ISIS propaganda arms claims responsibility without providing evidence. Public Safety Minister Ralph Goodale arrives at a news conference in Ottawa on June 20, 2017. "At this time, there's no national security nexus to the shooter," Hilary Peirce told HuffPost Canada Wednesday, stressing Toronto police are leading the probe. Her statement comes amid reports that the terror group claimed responsibility for Sunday's shooting in the city's Greektown — without providing any proof to back up their claims. ISIS' propaganda arm released a statement calling the Toronto gunman, 29-year-old Faisal Hussain, a "soldier of the Islamic State" acting on "calls to target the citizens of the coalition countries," Reuters reports. Julianna Kozis, 10, and Reese Fallon, 18, were killed in the attack, while 13 others were injured. Hussain was found dead nearby. His family released a statement this week saying he suffered from "severe mental health challenges, struggling with psychosis and depression his entire life." 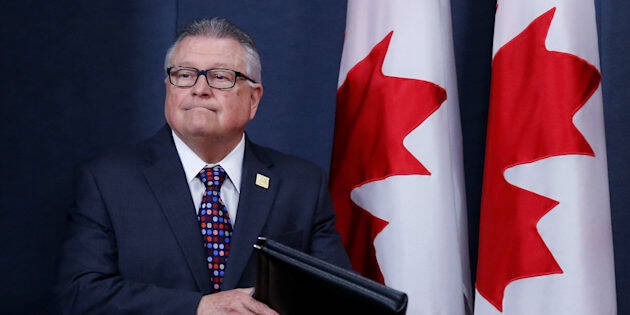 Goodale told reporters in Ottawa this week that Hussain was not on any federal watchlists associated with national security. ISIS often claims responsibility for inspiring violent acts, particularly those carried out in the West, even when there is no clear link or evidence the attacks were in any way motivated by the group. ISIS' claim to have been responsible for the mass shooting in Las Vegas in 2017 was widely debunked and seen by experts as a sign of the group's desperation. Goodale's spokesperson would not weigh in on ISIS' history of false claims, reiterating only that "there's still no national security nexus." Toronto Police Chief Mark Saunders has also said there is "no evidence to support" the claims, saying in a statement that accurate information about the investigation come only from the Toronto Police Service. "We will continue to explore every investigative avenue including interviewing those who knew Mr. Hussain, reviewing his online activity, and looking into his experiences with mental health,'' Saunders said.